Thick nylon is 2 times stronger than standard designs, which is long lasting. If you have a strong puller at home, our durable swivel clasp can offer great safety in control. Are you afraid of night walking? stitched reflective lines make night walking visible, any dangerous accident can be noticed in advance. Dual handles designed for extra control are foam padded with ultra soft touch. Dogs are active animals that sometimes they are hard to control. 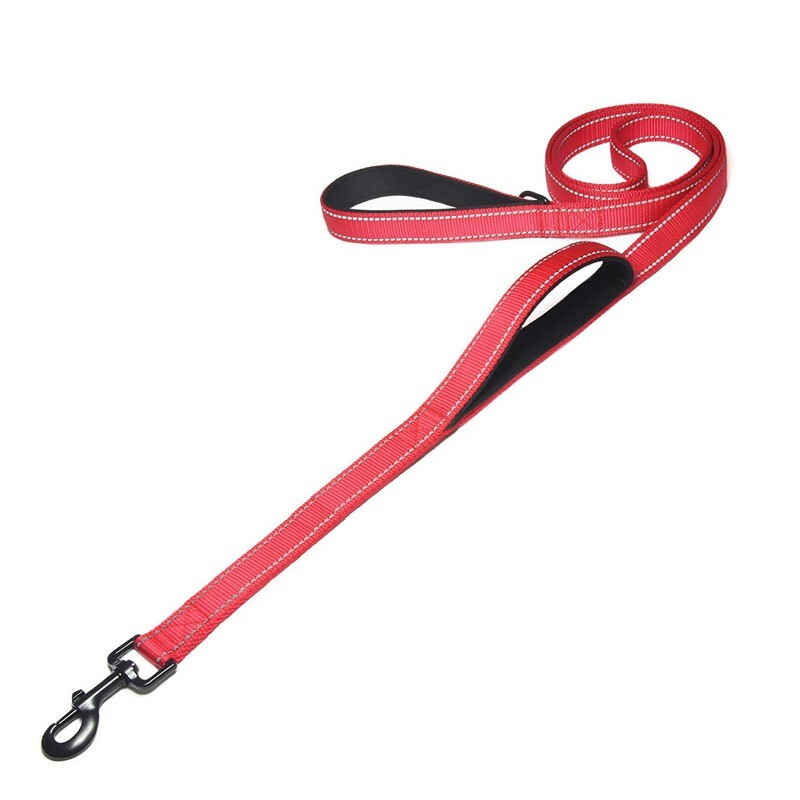 So the key function of a training dog leash is to let your dog understand the meaning of your instruction and respond you once you cue him. When you walk with your pet at park and it's time to go home, but your pet is away from you maybe 2 ft or more, you can cue hime to turn to you and recoil the leash slowly and gently. That sign will help your furry friend understand the meaning of your instruction. That might not work at the first time, so you need to practice that time and time again with great patience. But it's acknowledged that leash assists you well in dog training, and if you choose the right leash, training will be easier for you and your pet.